Long gone are the days when MTV showed endless hours of music videos for the masses on a daily basis, but the network has lost none of its potency. With its already established hit drama Teen Wolf, the network can boastfully say that they know what they're doing when it comes to the world of television dramas. The Shannara Chronicles just emphasizes how much the former music video network can flex their collective muscles when called upon. When you flex this big, you bring in heavy hitters, like Iron Man director Jon Favreau and bestselling author Terry Brooks (The Elfstones of Shannara) to help develop the next big thing on the small screen -- which is no easy task. For the most part, The Shannara Chronicles delivers, especially when it comes to simply having fun and not taking itself too seriously. Without having ever read the books. the series feels like Star Wars and Lord of the Rings had a beautiful baby. To say it's a completely original concept would be giving it too much credit, but what's wrong with borrowing from the great adventure stories of old? The heroes and heroines that inhabit this futuristic world are a colorful, if not overly beautified bunch, but for the sake of the network's demographic, we'll let that slide. Elven Princess Amberle (Poppy Drayton) is the first of these lovely creatures we meet, as she tries to defy an age-old tradition of a male only blindfolded race through the woods. If she wins (which she does), then she will be elected to serve as one of the chosen to look over a magical tree. Like all great adventure stories, our heroes have destinies and Amberle is no different. After horrific visions of demons and slain loved ones, Amberle decides it's time for her to leave home in search of answers elsewhere. 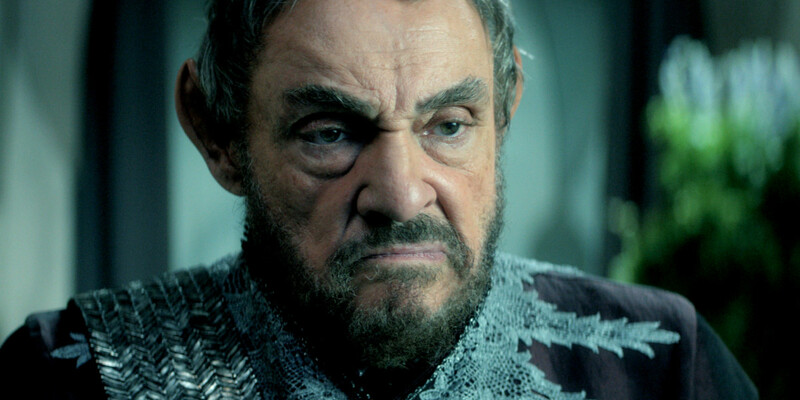 Her grandfather, King Eventine Elessedil (John Rhys-Davies) believes in a world where a magic tree is the only thing holding back a demon army from destroying the world. His sons Andir and Arion do not share in their father's belief of a world where magic once existed. Actually, if you've not read the books then its difficult to tell when this actually takes place. The beautiful post post-apocalyptic Earth is laden with skyscrapers and ships from our time, but they look centuries old (perhaps older). There is mention of the "ancient humans," but not much else is clear about how elves came into existence. Seriously though, who cares? Like Star Wars, this is a fantastical world where not everything has to be explained in a rational manner. As stated earlier, The Shannara Chronicles is about having fun, and in that department, the show exceeds expectations. Our other main characters include a half-human/half-elf named Wil Ohmsford (Austin Butler) and a down-on-her-luck thief named Erectria (Ivana Baquero). Much like Luke Skywalker, young Mr. Wil descends from a powerful bloodline that has the power to use magic. His soon-to-be druid teacher Allanon (Manu Bennet) has recently awoken from a kind of magical hibernation in order to find Wil who possesses the Shannara blood. Allanon has doubts about Wil's potential to be as good as his father, but just like Luke proved to Obi-Wan and Yoda, he has what it takes. By the end of the two-hour premiere, you'll be left wanting more. 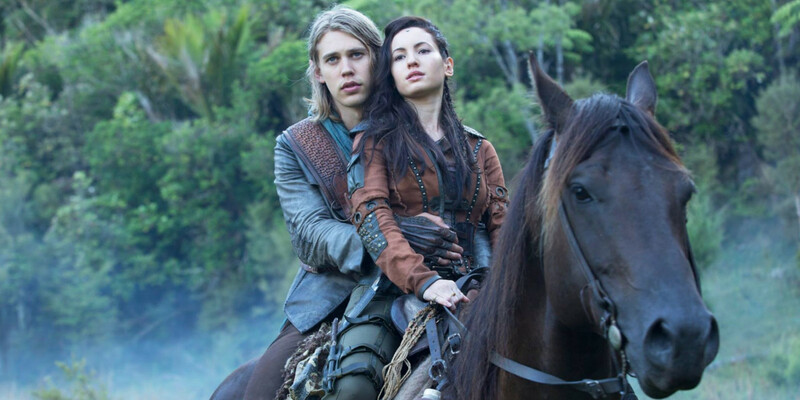 The Shannara Chronicles gets off to a promising start, but there is still room for improvement. So far, many of the characters lack any real depth apart from what's on the surface. There is still plenty more to come, so this small gripe could easily be corrected in future episodes. All in all, you'll be hard-pressed to find another show as fun and exciting as this one. What did you think of the premiere and for book readers, does this adaptation do the series justice? Stay tuned to see what happens next. The Shannara Chronicles continues with 'Fury' next Tuesday @10pm on MTV.